Grand Gardening Fair - 2nd June. 10am-4pm. 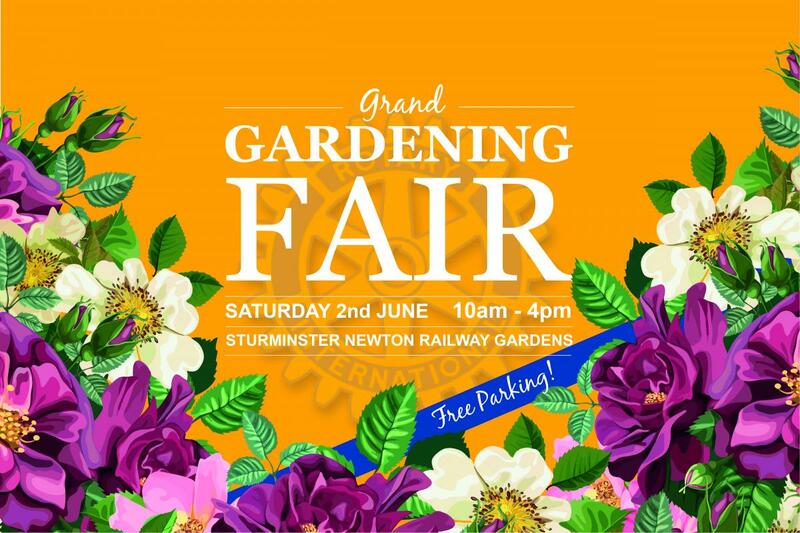 Join the Sturminster Newton Rotary Club at our Grand Gardening Fair in the Railway Gardens, Sturminster Newton, on Saturday 2nd June from 10am-4pm! Back for the second year and promising to be bigger and better, spruce up your garden this summer - and raise funds for local causes! This community event is organised by Sturminster Newton Rotary Club for all gardening enthusiasts - with a little extra for everyone else. PLUS: FREE PARKING! The council have generously provided free town-wide parking all day on Saturday! The weekend of the 2nd and 3rd of June is a busy one for Sturminster Newton with the Anonymous Travelling Market, The Grand Gardening Fair, The Big Lunch and the Exchange Beer Festival - with live music all weekend! See you there!